Price from 69.900 ISK PER PERSON. The Waterfalls & Valleys tour has three main attractions – the grand Glymur waterfall, the UNESCO World Heritage Site – Þingvellir National Park (both also known from the famous Golden Circle tour), and the Hengill geothermal area where we land. Setting off from the urban views of Reykjavik, we will catch a glimpse of Esja, the mountain just next to the city border. En route we’ll see the highest waterfall in Iceland – Glymur. It is a popular hiking area but nothing beats the view you get from a helicopter! 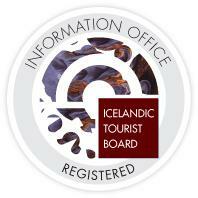 Next, the Þingvellir National Park, with its absolutely magical culture and nature. Besides being a sacred place for all Icelandic people, and an important part of the country’s history – it is a once in a lifetime experience to see it from the sky. At ground level, it’s hard to grasp the idea that two tectonic plates that drifted apart actually created Iceland… that’s why we take flight! This tour lands in the geothermal area of the old Hengill volcano. We land in a valley that has natural hot springs, mud pots, and is only accessible by a helicopter (or few hours hike of course!). In this remote area, you can feel the true essence of Icelandic nature – there are no safety ropes, etc. – just how Mother Earth made it. This landing place is also a part of the Geothermal tour, and the Fire and Ice tour. Sights: Glymur Waterfall, Þingvellir National Park, Hengill Geothermal Area, Hengill Volcano, Nesjavallavirkjun, Hellisheiðarvirkjun, Bláfjöll Mountain Range, Reykjavik City, Kristnitökuhraun Lava Field and Craters, Esja.